» No Way! Is That Guy Skating With a Chainsaw?! No Way! Is That Guy Skating With a Chainsaw?! 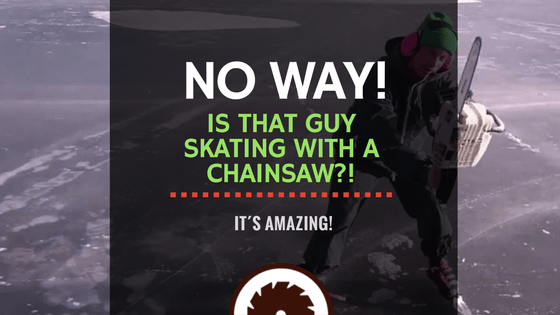 Ice skating with a chainsaw can be a fun thing to watch if performed by trained professionals, as it allows for a dangerous mix that could otherwise only be seen in professional movies and computer animations. The excitement behind the undeniable danger makes it a very unique variation to the traditional ice skating sport. 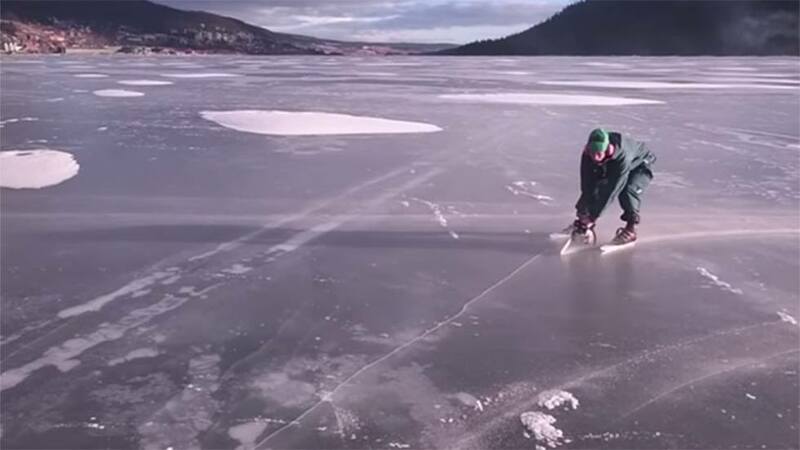 This activity is performed in many low-temperature parts of the world and there is a growing audience that’s becoming increasingly interested in this very dangerous sport, if one may so call it. Most of these people, especially the younger ones, find this event very entertaining and describe it as a one-of-a-kind activity. Adrenaline rush aside, chainsaw ice skating is a very dangerous thing to do. Many people have been injured while practicing this perilous activity which can easily escalate to a very painful death. If you slip with a chainsaw while ice skating, you better believe that something ugly is bound to follow. Just imagine being pulled out of a frozen lake with a chainsaw-inflicted injury — it’s certainly a less-than-glamorous picture. Trained stunt professionals are the only ones who should ever attempt to execute this risky deed. 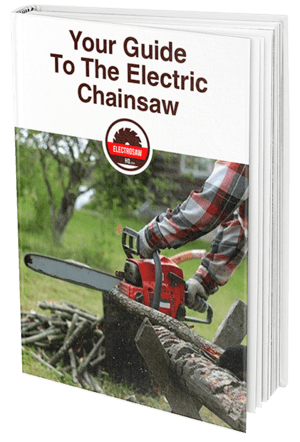 Their extensive training allows them to efficiently plan and execute the necessary moves to safely maneuver the chainsaws while skating. People who lack the required level of expertise will surely fall to their demise if they ever attempt to do as the people in the videos below. A chainsaw ice skating event is one of those activities that should never be witnessed by the faint-hearted. Tense atmospheres inundate these events as, even with professional performers on stage, accidents may happen. Like with many extreme sports, there are always good chances of performers dying during an act. Children and those with heart problems should refrain from attending these chancy events, considering the chances of injuries and death during the performances.